Shoetalk. A podcast series with Cara and Lori. Jessica Navas shares some secrets of her fabulous skater-chic-meets-business lady style..
Epi. 8 – Four Inch Heels Every Day! The lady wears four or five inch heels every day? Cara and Lori welcome high-end fashion designer Spencer Barksdale. 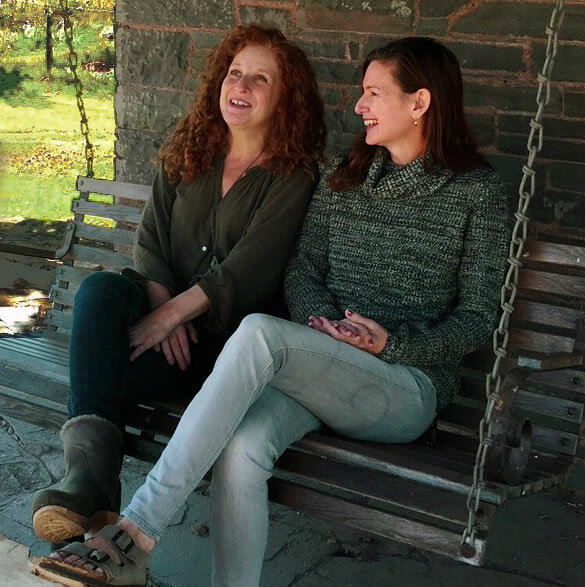 The first inkling that Cara Enteles and Lori Campbell might have a show about shoes came a couple of years ago, when they went on a trip together. They had gone to Art Basel in Miami, because Cara (a beautiful painter) was exhibiting work at one of the fairs. Cara and Lori were traveling with Cara's husband, Rob, and a few days into the trip, Rob turned to them and said, "Did you guys ever realize that you talk about shoes all the time?" "That's so not true!" they protested. And then somehow, within about ninety seconds, they were talking about shoes again. Heels, flats, boots, sandals. Booties, shooties, high tops, low tops, slip ons, slides. Suede, leather, pleather, metallic. Birkenstocks, No. 6 clogs (our favorites! ), Louboutins, and flip flops. You name it, they can't get enough. And so in some ways, Shoetalk was inevitable. It's a freewheeling, fast-talking podcast series, that lets Lori and Cara do what comes naturally: discuss shoes! You'll get a sense of what they like, what they don't, and why. How they survive in New York City, where people walk everywhere but don't want to trade style for comfort. Cara and Lori interview everyone from a lady who buys shoes at Costco to a high-end buyer at Bergdorfs. Once Lori and Cara get going, it's hard to stop. And believe me, they've tried!